For many people, the answer to who was involved in the killing of President John F. Kennedy stems from either years of research or is formed from an opinion based on everything they have heard from the media. The answer is not simple and it is something that still has not been answered completely. 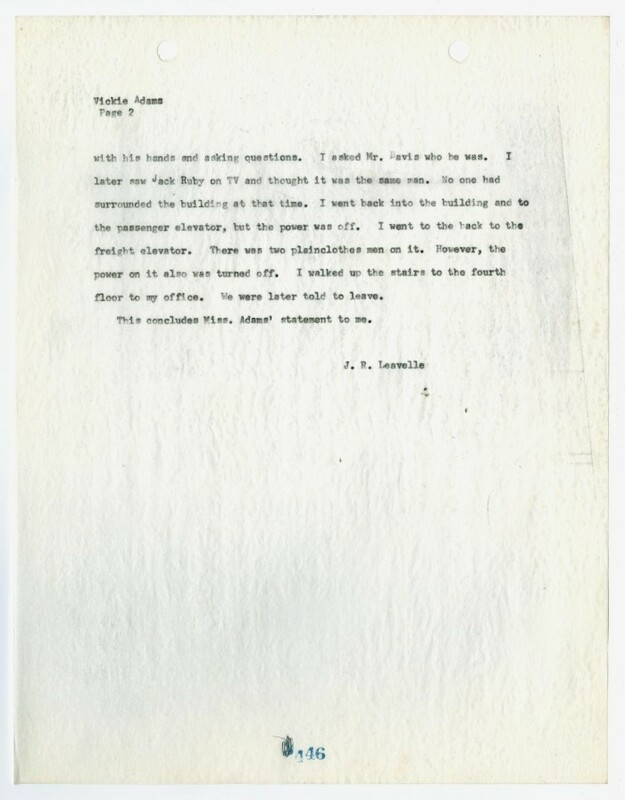 There are those that want to believe that Oswald acted alone in this and they have every right to that opinion. Then, there are those that believe that one man could not have planned and executed this crime in front of hundreds of people. I, for one, believe that Oswald could not have done this by himself and that others were behind this assassination. I have been reading books about the assassination since I was a kid and it seems that I still find new and interesting things in each of these readings. For example, I recently came across a book that shows some motive as to why someone would want JFK killed. The book, which I found at a local flea market, is titled “Robert F. Kennedy: Assistant President”. The title of the book says it all for me. The authorclearly believes that RFK had more influence inside the government than the Vice President of the United States. 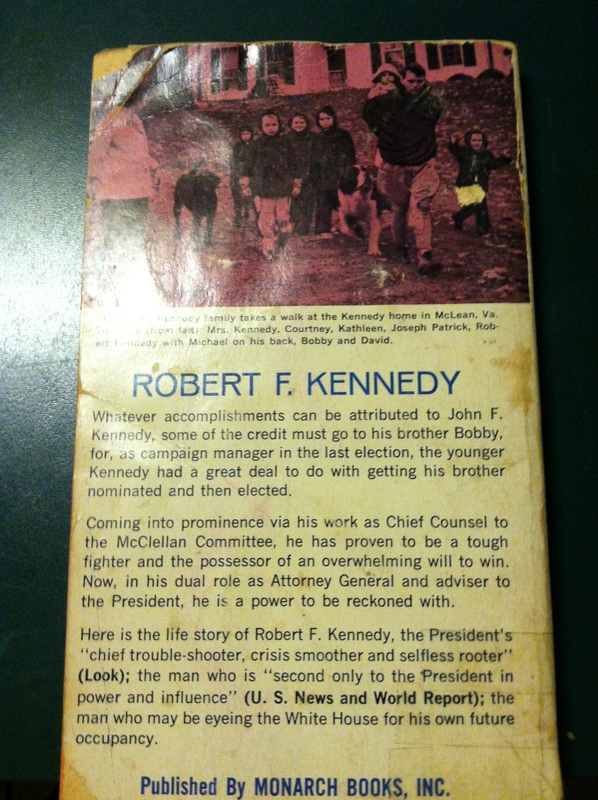 My own daughter (who is 12) noticed the title and asked me if Robert Kennedy was the Vice President and why they would title the book that way. The book, which was published in 1962, shows how RFK fell into the position of Attorney General. At the time, it received reviews from Look magazine and U.S News and World Report which described RFK as “the man who is second only to the President in power and influence”. Now, put yourself in the shoes of Lyndon Baines Johnson. This is a man that, at one time, was the most powerful man in the Senate, only to find himself a few years later, playing second fiddle to a young, inexperienced lawyer who happened to be the President’s brother. How can he compete with that? The answer to that question is simple. He could not. So, it would seem to me that publications like this would serve as a means of motive. In most crimes, there has to be a motive involved for someone to commit a crime. Whether it is to get back at someone or maybe even to get ahead in some faction. I am not saying that Johnson was the man behind the Kennedy assassination nor am I denying his possible involvement in it. I am simply showing those that are interested a possible means of motive. 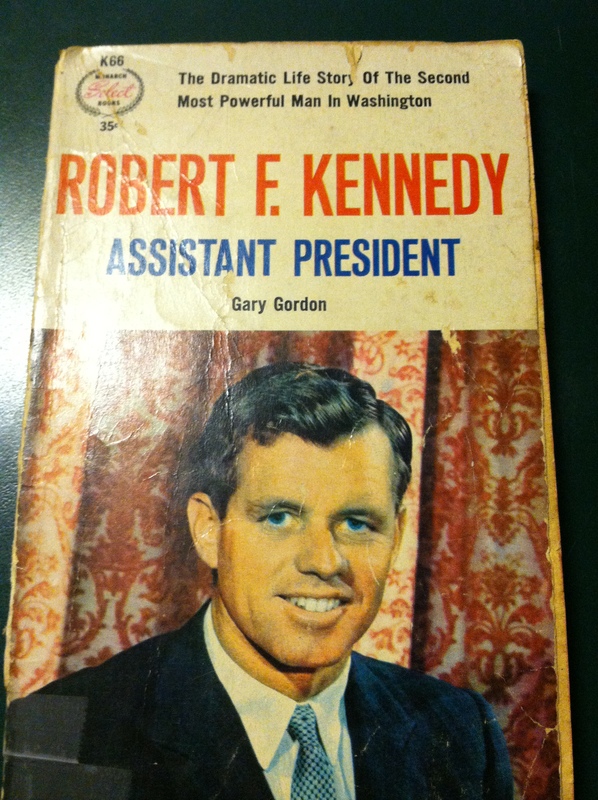 Here we have a book, published in 1962, that refers to Robert Kennedy as the Assistant President. The author goes into detail about decisions that he helps make on a daily basis and the trips around the world he takes during his first couple of years as Attorney General. These feelings that Johnson harbored towards RFK would carry on even after the assassination and would last until RFK himself was assassinated in 1968. Lyndon Johnson would go on to become President after the assassination of JFK, finally attaining the power that he so desperately wanted. It could be possible that Lyndon Johnson saw books like this and became so angered by them that he felt he had to do something. All I know is that questions still remain about the assassination. Maybe finding little clues like this book could help those that feel they have the answer. Gordon, G. (1962). Robert F.Kennedy Assistant President. Derby, Connecticut: Monarch Books, Inc. Witnesses see man with a rifle..
My search into the truth about what happened that day in Dallas 50 years ago has lead me down some very different paths. As a young boy I was intrigued by the assassination and was convinced that there was more than one person involved. The movie JFK came out at about the time I was 11 and this further convinced me to continue to search for answers. As time goes on, we tend to go with the flow sometimes and I was seeing documentary after documentary pointing to one assassin. As I got older, the use of the internet enabled me to search for things that I would not have been able to see because I would have had to go to the archives to look at it. 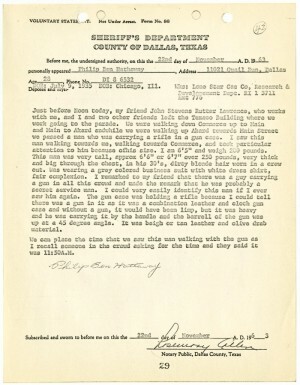 This past week as I was doing my routine search of documents, I came across two witnesses that claim they saw a man carrying a gun case through the streets of Dallas on November 22nd, 1963. The witnesses that came forward were Phillip Hathaway and John Lawerence. 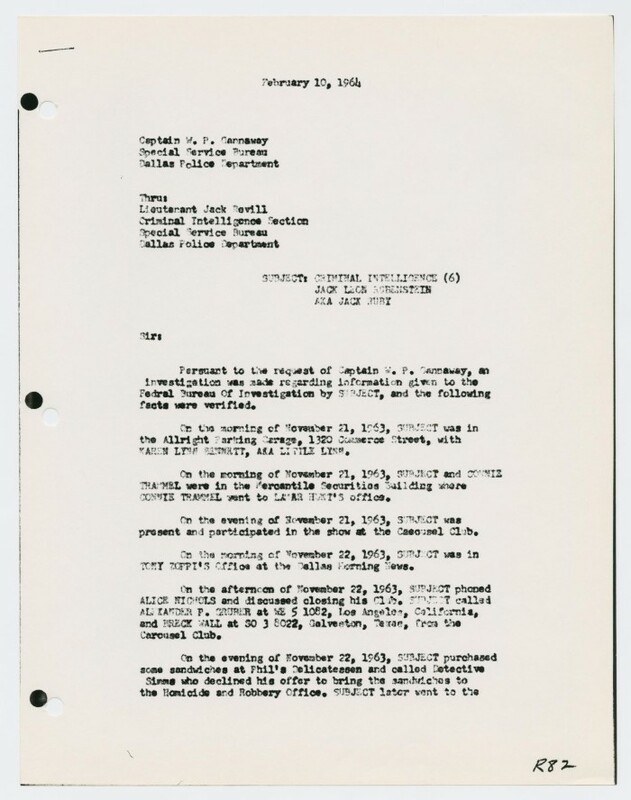 If you try looking for these individuals in the Warren Commission testimonies you will not be able to find them. It would seem that the Warren Commission decided that witnesses coming forward would not be important to their investigation. I understand that many witnesses have come forward claiming things, but this voluntary statement given by these two gentleman on the afternoon of the assassination would seem to me something that would be important to further investigate. According to the witnesses they state that they were getting ready for the motorcade sometime before 12 noon, when a individual who seemed to be about 6’5 weighing somewhere around 250 pounds came walking through the crowd. 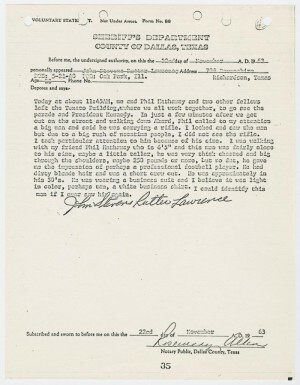 In his statement to the Dallas Police, Mr. Hathaway mentioned that he took notice of this man because of the suit he was wearing and the package that the man was carrying. The package was a rifle case and according to the witness it had something in it, because the angle the man was holding the case indicating it had something in it. The direction that the man was heading towards was Main Street. 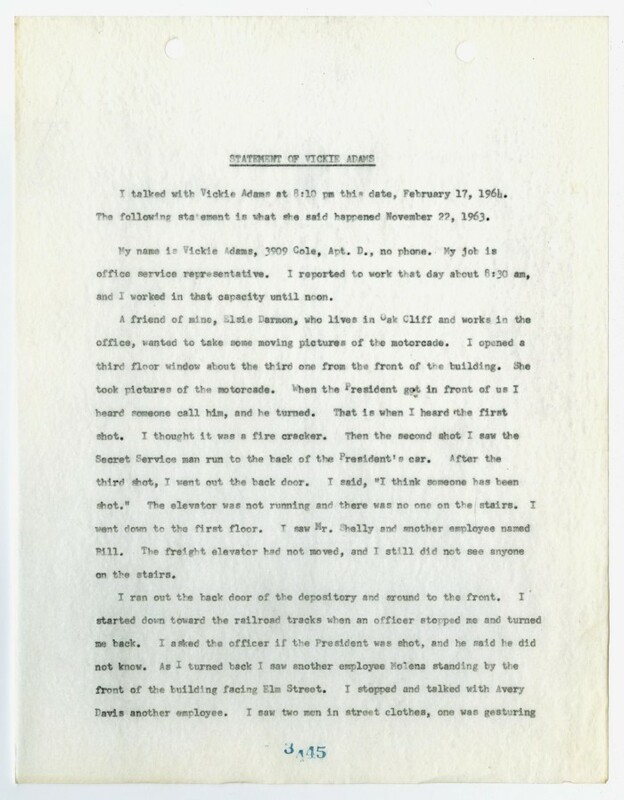 At first the witness thought the man was a Secret Service agent, but once they realized the president had been shot, they decided to go to the police station. 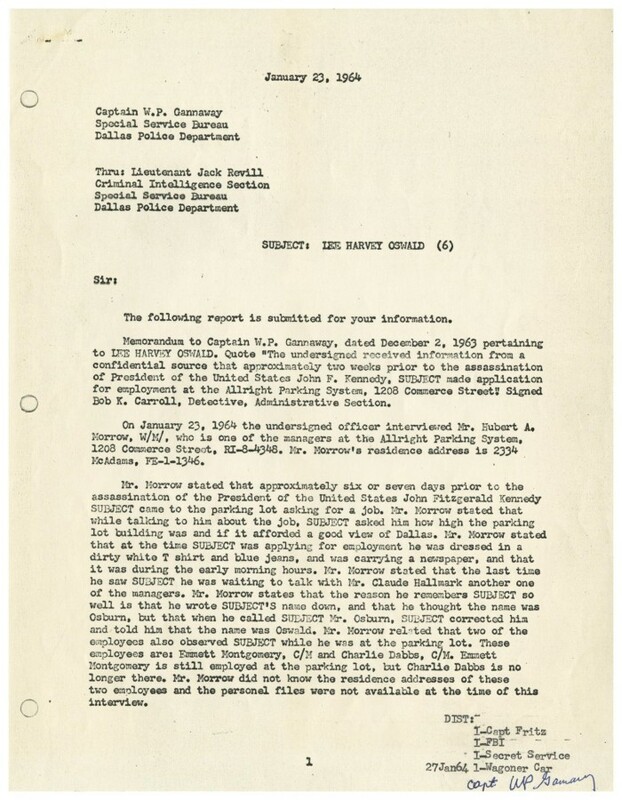 The importance of these witness statements is because, at some point during the month of November, Oswald was seen at the Sportdome Rifle Range with another individual. The other individual seen with Oswald on a few occasions, was described as being around 6’4 and about 250 pounds. Could this be the same man that these witnesses saw that day? 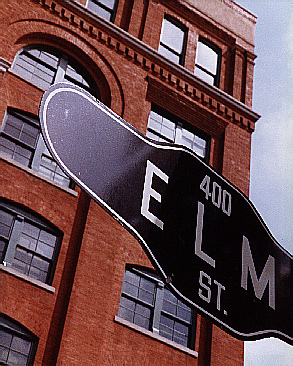 He would have had enough time to make it to the depository and plant Oswald’s gun on the sixth floor. This man would have had the gun, with the palm print on it and been able to have shell casings. At the rifle range, Oswald was seen collecting his shell casings after each shot, trying to catch them as they came out of the gun. If you have ever been to Dallas you would know that the walk is not that far, and being that rifles have entered the building on occasion, this would not have been anything out of the ordinary. Someone could have easily made it to the depository and planted that gun, making Oswald the patsy he claimed he was. All of the investigative agencies involved failed to look further into this matter, and it is finding witness statements like this that make the search for the truth continue for me. This video is about Buell Frazier explaining the morning of November 22nd,1963. For 50 years he has maintained the curtain rod story, and now it seems he may not think that Oswald had a rifle in the package. Not what he thought back then.